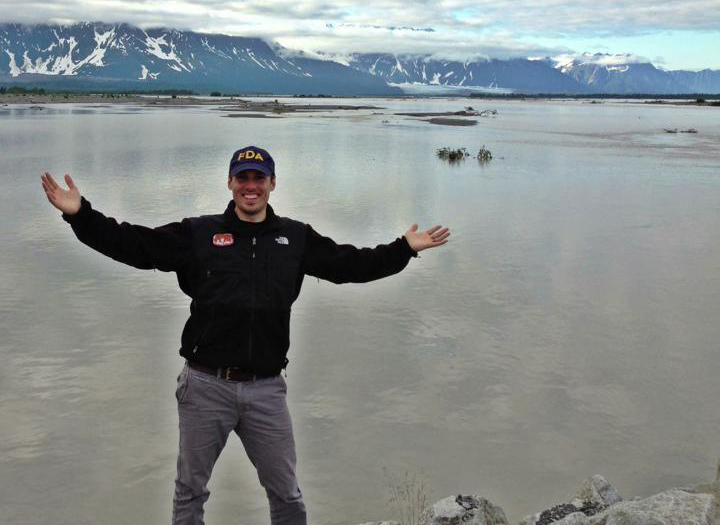 Alumnus Jeff Gard '08 feels extremely fortunate to have obtained a great education at UIU and his dream career with the U.S. Food and Drug Administration, which allows him to pursue his passion for travel and adventure. Ever since he was a child, Jeff Gard ’08 has been intrigued by the Earth, its vastness and the diverse groups of life it sustains. Not only did he know from an early age that he would pursue a career in science, the Dubuque, Iowa, native made it a personal mission to travel and see the world. As an investigator for the U.S. Food and Drug Administration (FDA), Gard has traveled the globe while promoting and protecting the health of all people. Understandably, the opportunity to protect public health and potentially save lives on a daily basis has already made for a rewarding career. Gard explained the FDA is an agency within the Department of Health and Human Services and is responsible for promoting and protecting public health by assuring the safety and efficacy of human and veterinary drugs, vaccines, blood, and other biological products, medical devices and radiation-emitting products. Additionally, the FDA is responsible for assuring the safety of food, cosmetics, animal feeds, and dietary supplements; and for regulating tobacco products. He noted the FDA is responsible for the oversight of more than 2.1 trillion in consumption of medical products, food, and tobacco, and FDA-regulated products account for 20 cents of every dollar of annual spending by U.S. consumers. As a U.S. Food and Drug Administration inspector, Jeff Gard ’08 has traveled the globe, while promoting and protecting the health of people. in and promoted practices to restrict contamination or spread of disease; investigated disease outbreaks; and ensuring proper packaging, marking and labeling of products or materials. He explained that by focusing on internships, and thesis and senior projects, UIU’s environmental science program prepares its students for a successful experience in the job market or in graduate school. In addition, Gard praised Dr. Kata McCarville, Dr. Nigel George and all of UIU’s STEM professors for the extreme knowledge and passion for teaching that they share with all their students.